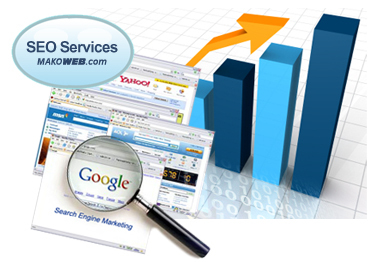 Get your site found utilizing search engine optimization and marketing. Starting with an analysis of your website. Without a well executed search engine analysis and optimization plan of your website, your business marketing strategy will not be successful. Search Engine Optimization isn’t just a one time event that an IT tech takes care of… SEO services are a never ending process that takes constant monitoring to get you to the top and monitoring to keep you there. If you have any trouble with a single page or the whole site we will put it on the track within 24 hours. We call it Quick website tuneup. Make your website work if it’s not working right now. Take care of any error messages on your site. Take care of all the html error messages like 401, 403, 404 and more. Take care of the script error messages. Place the images files or text in the right place and will help you with all your formating troubles. Optimize your site and make it faster if your it is running slow. You will experience a flawless working website. Step 1: Please give us a call at (941) 870-2271 and let us know the nature of your problem or fill in the following form. Step 2: A consultant will contact you over the phone or email. Step 3: He will evaluate your website problem and calculate approximate time required to fix the problem. Step 4: Once when both parties agree, you will be given with an online agreement where the consultant will elaborately explain the problem you are having and exactly what he is going to fix. Step 5: Once agreed you can conveniently make a payment through our secured online payment system. Step 6: You will provide us with the FTP information to your site. Step 7: Once we receive your FTP information your site will be fixed within 24 to 48 hours time based on the complication. Step 8: Your site will be up and running just as you desired. Please contact us to for more information and learn how we can create a custom website design for your business.